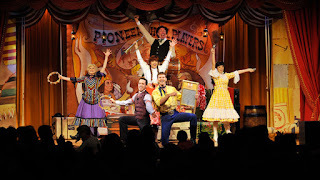 Hoop-Dee-Doo Musical Revue: Deadline NYE 2015! Let me know if there are any changes. You can PayPal the amount to jobentertainment@yahoo.com or send us a check made out to "J.O.B. Entertainment Inc." Deadline is end of the year! Looking forward to sharing another great retreat and celebration with everybody! 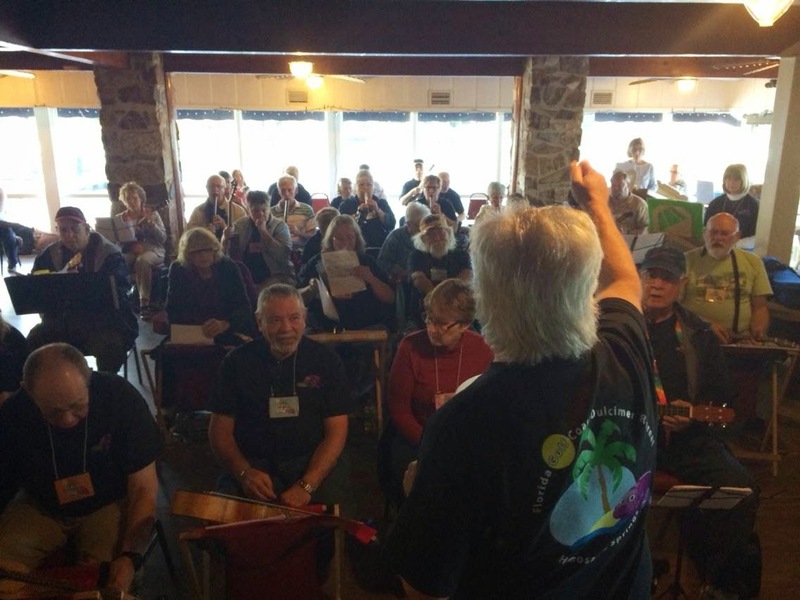 We're just four months away from the 4th Annual Florida Gulf Coast Dulcimer Retreat! As we get closer, the numbers are getting larger - don't miss out! Register by using the links on the left of this page. Also be sure to make your accommodation reservation at either the Homosassa Riverside Resort or the Homosassa River RV Park and Resort. Discounts are available for both locations if you mention the dulcimer retreat. If you're wanting to join us for the Monday night Hoop-Dee-Doo Revue at Walt Disney World, be sure to drop me a line at bingfutch@yahoo.com so we can go ahead and get a head count. We're excited - gonna be a great time! Once again, a group of us will be indulging in our four-year strong tradition of enjoying the Hoop-Dee-Doo Musical Revue at Walt Disney World's Fort Wilderness Resort and Campground on the Monday following the retreat (2/29). As usual, we'll need to make reservations long in advance to secure seating for this very popular and long-running show! 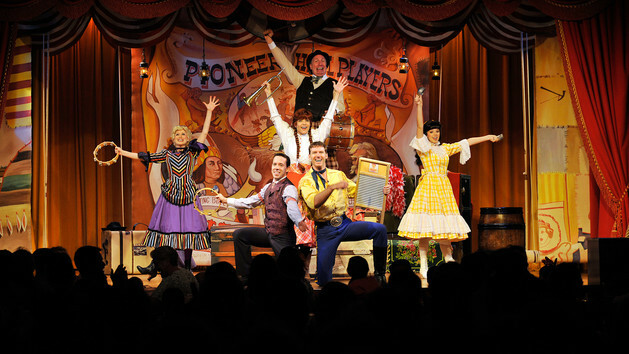 For those who don't know, the Hoop-Dee-Doo Musical Revue is a delightful dinner show featuring a talented cast and a fantastic all-you-can-eat meal. You don't need to be staying at the resort in order to attend. We'd like to get a tally of how many folks are interested and, at a point not too far into the future, we'll collect everyone's money for the tickets and make a reservation. We usually are on the ground floor, up close to the stage. Prices are $67.99 and includes all food and beverage and the show, of course. In order to reserve our table, we need to make a reservation by December, so if you want to join us for this joyous, raucous and fun-filled evening, please contact me and we'll start a list! 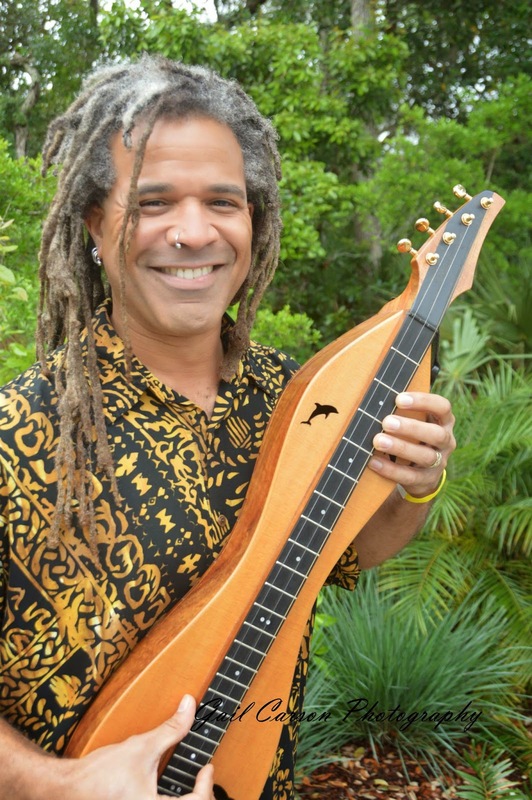 Futch's love for traditional music has resulted in a career on both sides of the folk and rock divide, first as guitarist for CCM post-punkers Crazed Bunnyz in 1986 and much later in 1999 as co-founder of Mohave on mountain dulcimer. That band, with bassist Mike Burney and drummer McGyver, took off after their debut performance at the House of Blues at Walt Disney World and over the course of the next seven years would become a crowd favorite and open for the likes of Molly Hatchet, St. Somewhere and The Crests. In 2006, Futch began performing solo at county fairs and festivals across the country, along the way opening for Grammy-award winning act The Nitty Gritty Dirt Band, Grammy-award nominated artists Sam & Ruby, bluesman Scott Ainslie and sharing the stage with Grammy-award nominated act The Dixie Beeliners among others. Bing won the "Solo Artist" award in the 2014 Central Florida Blues Challenge competition, earning a coveted entry into the 2015 International Blues Challenge in Memphis, TN. 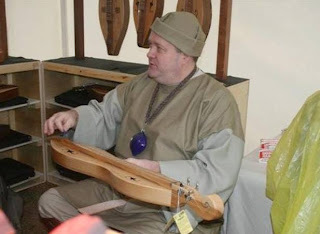 Taking the mountain dulcimer where it had never gone before, Bing competed in the quarterfinals and advanced to the semifinals, gaining new notice and fans for himself and this unique instrument. Futch's music has been featured in film and video productions, video game soundtracks and exhibits at the Orlando Museum of Art. He was composer and musical director for" The Jungle Book: A Musical Adaptation"which ran for 66 shows at Stage Left Theater in Orlando, Florida. He also contributed music to the soundtrack of The Castle of Miracles at Give Kids The World Village in Kissimmee, Florida. Futch can often be found teaching music workshops at various festivals and colleges, presenting music education programs at schools and libraries and producing episodes of his video podcast "Dulcimerica" which has been viewed by over a million people worldwide and is currently in its eighth season. He is also the host of "Rhythm Roots", an hour long video program on DittyTV, The Americana Music Network. In traveling over 19,000 miles a year, Futch's home away from home is a 21 foot long Winnebago Warrior that has been dubbed "Rita." 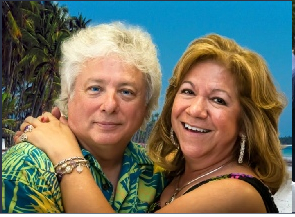 While off the road, he lives in Orlando, Florida with his wife, Jae, and a menagerie of critters. This will be a fun and fundamental class to get you well acquainted with the mountain dulcimer so that you can play and enjoy it! We'll cover everything from proper posture, what the various parts of the dulcimer are called and basic strumming to picking out melodies, reading tablature and learning a few tunes. Geared to the new player, but contains lots of great reinforcement for folks with a little more time on the instrument. Everyone's welcome! Come learn three fun, easy songs and then thrill to a dress rehearsal before performing in the Saturday night concert with The Manatee Orchestra! All skill levels are welcome and I've written a nice little arrangement for each of the tunes we'll be playing. If you've done it before, you know what a BLAST this is! So, you've been playing for a little while but feel stuck in a rut? Can't seem to get past the plateau and you just want to pick up a few new skills? Then, this is the class for you! I'll share with you some secrets of the mountain dulcimer, like boxes and selective strumming, chording and flatpicking will also be covered. Upgrade your ability, take this class! Once you've strummed and strummed the dulcimer, there is only one place to go and that's into the world of flatpicking. Picking one note at a time can create beautiful cascades of chords or flash a hot lick with a Nashville twang. Mixed together with strumming, it's the next step in your evolutionary journey with the mountain dulcimer. We'll cover proper pick selection and usage. I highly recommend these. Also these. And these. This one's cool, but only for flatpicking. This beautiful, haunting and expressive instrument dates back 4000 years on the North American continent. Originally used in courtship and later in ceremonies and, more recently, ensemble performance, the Native American flute now enjoys great popularity in all types of music. You'll be surprised at just how easy it is to play! In this workshop, you'll learn basics: flute anatomy, how to hold it, breath control, major and minor scales, ornamentation techniques and how to discover your very own spirit song. If you don't have a flute, I will have a limited supply of loaners that are also available for purchase. Key does not matter if you wish to bring your own. I've upped the ante on this workshop and we're going to get down and dirty with a Mississippi Delta holler. We'll learn the basic 12-bar blues form, switch keys, alter the form, learn to solo while keeping the rhythm and, finally, we're gonna learn how to play slide. Bring a Shy-Slide or cigarette lighter, anything easily held in the hand will work. You'll be playing the blues in no time flat! Once you've gained some experience with flatpicking, you'll want to broaden your musical horizons and begin to explore fingerpicking. We'll use some pretty tunes that sound great when fingerpicked and I'll show you some patterns that will help you on your way towards creating your own plucking patterns for each song you play. We'll also get into some techniques that will help you put a "pinch" of pizzaz in your songs! 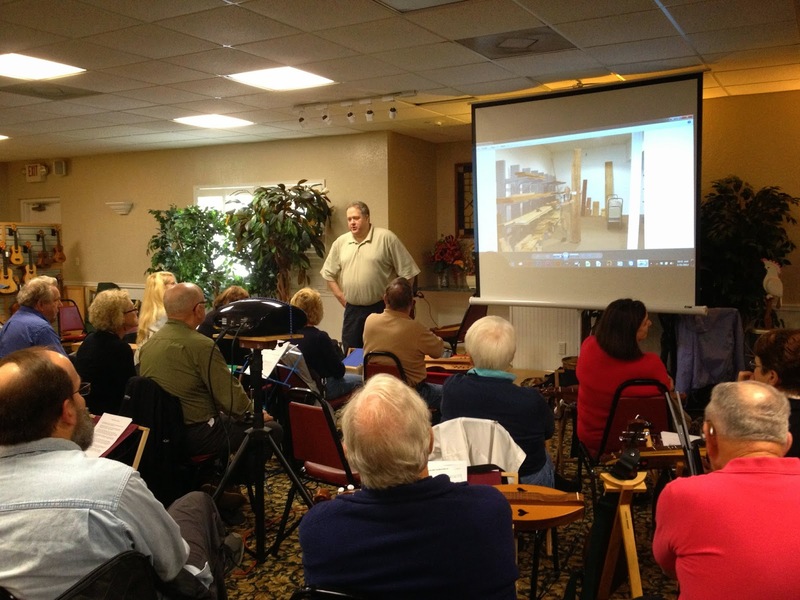 Take the Mystery out of the Hammered Dulcimer - Beginning - Have fun learning your way around the instrument to locate notes and parts of the dulcimer, as well as all the basics. I’ll show you easy ways to find chords and remember melodies. We’ll also cover some great practice tips, scales and arpeggios in this very beginner workshop. Fun with Chords and Improvising - Beginner HD - Learn some simple chords, arpeggios, and scales to create a good sound as we learn a few fun tunes to take home with you. Building a Repertoire on the Hammered Dulcimer - Intermediate - Start easy but add to your tune list as we learn some songs that will sound great on your instrument! Get That Island Feeling on a Hammered Dulcimer - Intermediate - Learn a few “island” tunes as we learn and practice our “island technique”. Mom’s Jig - Intermediate HD - Learn my arrangement of a really fun “jig” to play! We’ll work on ways to play more up-tempo tunes, how to swing the rhythms, and what it takes to sound good with a Celtic feel. BEGINNING Pennywhistle - An easy, fun instrument to play - and the EASIEST to pack and carry! Learn the basics and how to play in 2 keys easily. Beginning Ukulele - Free Loaners - Don’t know the first thing about the uke? Come to this class and we’ll get you started! AND you don’t even have to buy one to try it! We have great LOANERS for you! Have fun learning how to play this fun little instrument! This workshop will get you ready for all the “Beyond Beginner” classes offered this weekend! Beyond Beginner Ukulele - Work on basic strums, chords and tunes as we learn some fun ukulele“classics”! We will also learn some “jamming Chords” so you can join in the evening jams on your uke. Good practice if you’ve just started to play. Manatee Orchestra - Ukulele - All levels - Part 1 - Be part of our famous Manatee Orchestra and play the ukulele! We’ll learn all parts; from easy strum to more difficult melody and harmony parts - you pick the part you are comfortable playing. A fun way to add some new skills and be part of our Sat night performance! Manatee Orchestra - Ukulele Part 2 - With HD, and Pennywhistle - Second chance to learn/practice parts for our Manatee Orchestra. Hammered Dulcimer and Pennywhistle will be learning their parts while ukes practice what they have learned in Part 1 Workshop. Popular Songs That Are In The Public Domain, 2016 Edition - All new songs for this installment of "popular songs"! Songs from the Beach Boys, The Beatles, and more. Songs that are in the public domain. If you took "Popular Songs" from Richard in the past, then you know how much fun it is. The 2016 "Popular Songs" class has new songs, new lyrics, new fun! Copyrights For Musicians - Is it okay to make photocopies from a dulcimer tab book, and share the copies with your club? Do you know? How about making a CD? Do you have to pay for the rights to use the music? Who gets the money? We'll cover all kinds of pertinent (to musicians) information about copyright law. We'll debunk some of the myths, and give you some peace of mind. Murder Ballads, Volume 1 - Here's an entire class of "the boy and the girl went to the river, but the boy came back alone" songs. We might include a few variations - things like "two girls went to the river, and one came back alone", or "a boy and a girl went to the well/mine shaft/forest..." You get the idea. Fun songs, and a huge part of the folk music tradition. 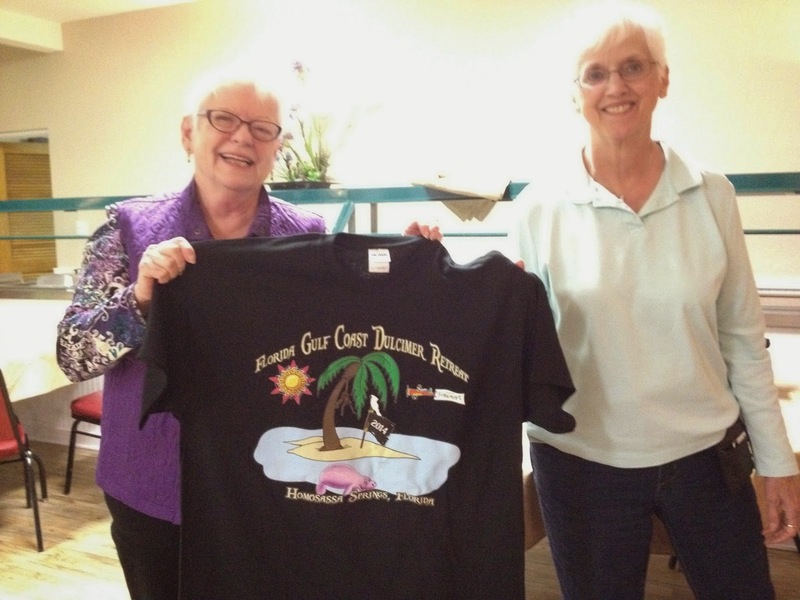 We're getting down to the wire as the 3rd Annual Florida Gulf Coast Dulcimer Retreat Approaches! There are now only ten registration slots available, so if you're thinking about joining us, grab yourself a spot and then get ready for a ton of fun! Time's also running out on availability on this year's t-shirt. Contact hdgeorge@aol.com for more info.